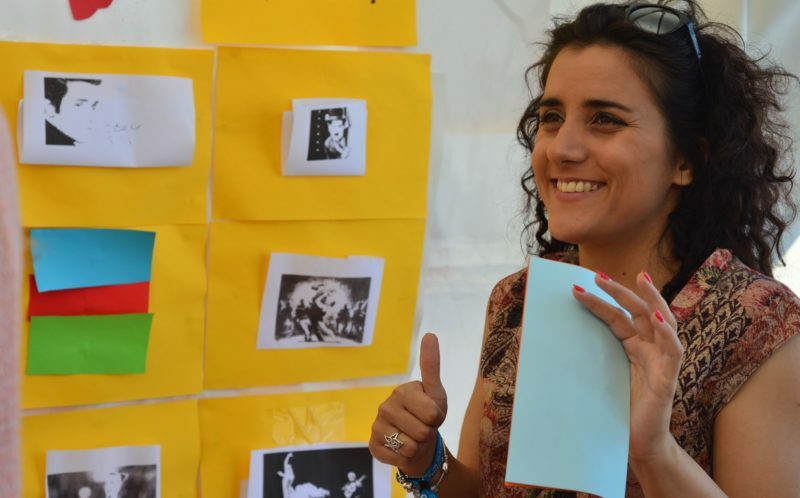 If you have visited Yo Village during the European Youth Event (EYE) in Strasbourg at the end of May 2016, you would have probably meet Sara Toth, a twenty-five year old, very energetic and cheerful teacher in charge of a Roma Quiz through which she was trying to spread the knowledge about Roma culture and history. Sara is Hungarian citizen, a European teacher and a member of Phiren Amenca Network and EVS member. But before all, she is Roma. They are Europeans, our next door neighbors, our friends, and colleagues: we live together, or at least close by, we’re being raised in the same cities. 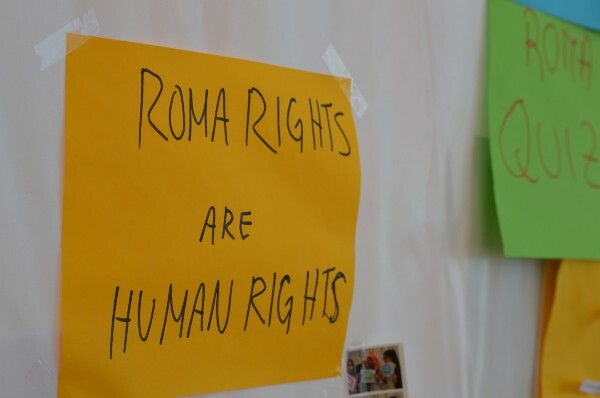 But yet, unlike most of the Europeans, Roma are usually being treated like the pariahs of Europe: the Others. They live their lives with prejudices and stereotypes that other people have created, and in the majority of European countries they are facing discrimination, lack of support for integration into society and unequal opportunities. 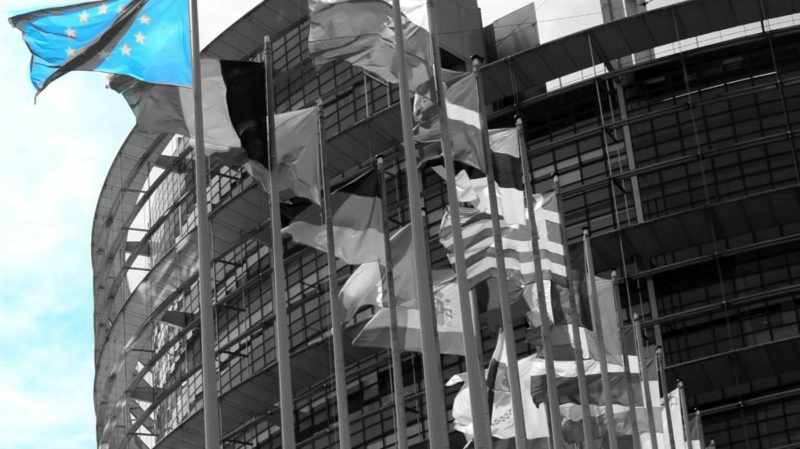 It was estimated that more than 12 million people from Roma population are living in Europe, and six million of them are citizens of the European Union. Numbers issued by the Council of Europe in 2012 show that 1,36% of the total European population are of Roma origin. But what does young Europeans who participated in the EYE actually know about the people who make 1,36 % of the European population? And with what kind of problems does the Roma community face today? During the Roma Quiz, Sara explained to the few dozens of participants that Roma are coming from India and talked about their sufferings during the World War II. But she also shared “fun” information, such as the fact that Charlie Chaplin was Roma, too. According to her, when it comes to general knowledge about Roma people, young participants are usually aware of the situation in their native countries, but they don’t know much about the overall European situation or even the number of Roma-origin people living along with them. Based on the quiz results it became obvious that some of the young people would know that Roma came from India, while others would say that the place of origin is actually Bulgaria or Romania. “By doing this Quiz, I also learned a lot, and even when somebody would say that they don’t like Roma, I can listen. I can ask why?”, Sara said. “For example, the European Parliament, the rights they are giving us and which we can have, are a beautiful thing. If we are facing with discrimination, we have the rights behind us, lots of organisations that can help us. This is an amazing thing because earlier we didn’t have something like this. When it comes to the discrimination of Roma population within the Europe, Sylvie Guillaume, Vice President of the European Parliament agrees that the there is a great amount of discrimination, from which the European largest minority is suffering. But when it comes to dealing with the discrimination Guillaume states that the European institutions have to tackle it from three grounds. 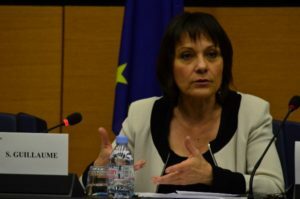 First, according to her, the European Commission has to be tougher when imposing sanctions due to unexecuted policies and integration schemes with which member states have to comply. “For now the Commission is saying things, writing reports, but has no mandatory power on the matter and that is a failure”, Guillaume said. 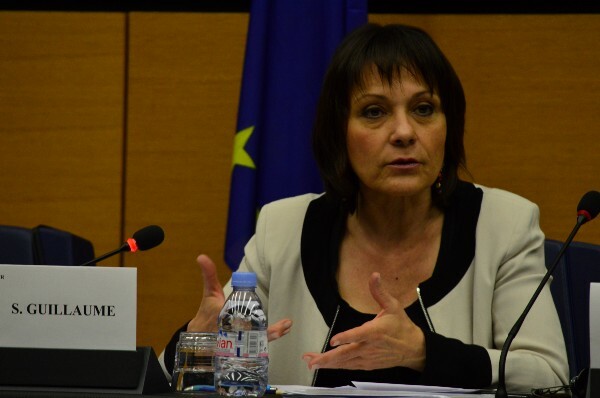 She pointed out Bulgaria, Romania and Slovakia as problematic countries, where Roma people are mainly living, but where they are considered “second-hand” human beings. “The proper schemes in the countries of origin have to exist. We shouldn’t forget, the countries in which Roma people are trying to make a living, where questions of integration have to be better managed by the national authorities”, is the opinion of the EP Vice President. One of the most visible consequences of the constant discrimination that the Roma community is facing is the lack of support and interest when it comes to integration into society. Roma children are still being segregated in the schools around Europe (read more at ERRC), in some countries they are suffering from racial profiling when trying to exit the country (read more here) and like in a case of Bosnia and Herzegovina, they are actually and officially being called “the Others”. Robert Kasumović is Serbian Roma, member of Phiren Amenca and the Association of Roma Students in Serbia. 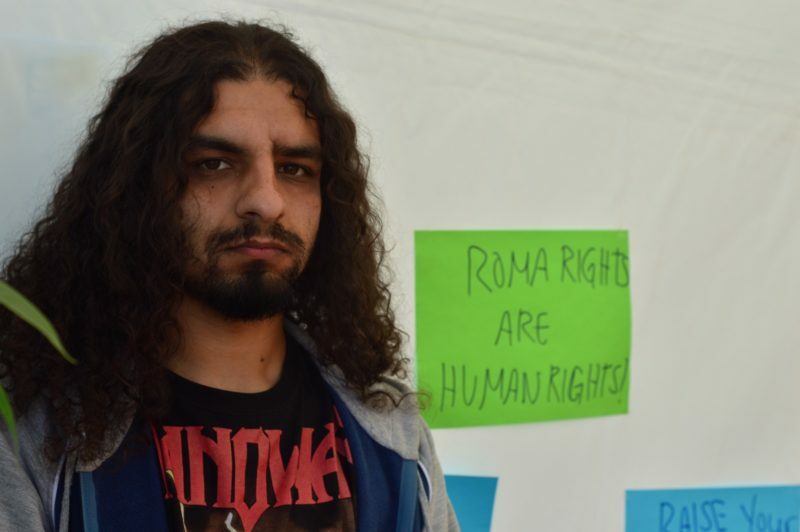 In his view, young Roma in Europe are facing multiple problems. Firstly the problem of discrimination, but also difficulties due to the social conditions in which the Roma population is living. “That means that they have difficulties when it comes to studying, to go to universities. But I think that from this situation, the new generation of young educated Roma is arising, the generation that has the possibility and the ability to represent their population”, Kasumović believes. Robert, as all of his fellows from the Network, agrees that inclusion in society is one of the most important issues Roma are currently meeting. But apart from integration, many Roma are living while struggling every day with essential problems, such as housing, education, health care or even segregation. 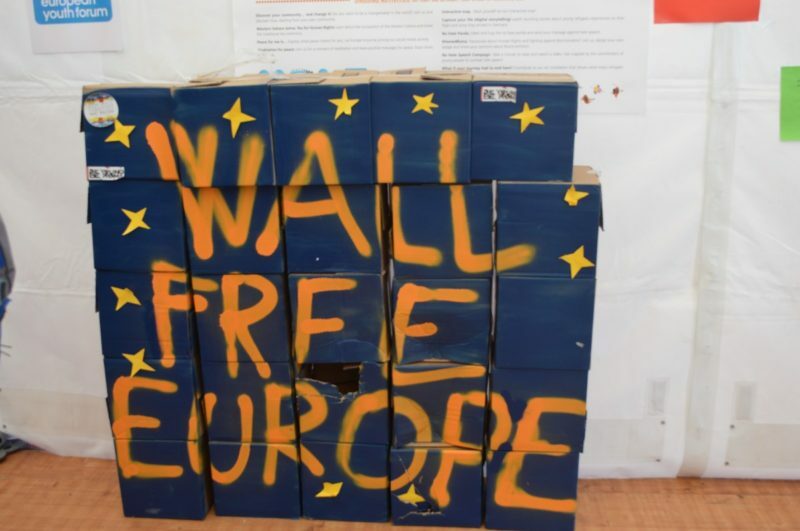 In order for Roma to be accepted as integral part of the European society, the rest of Europe has to learn to accept the different cultures, work towards a more tolerant society and practice European “United in diversity” motto every day, activists believe.